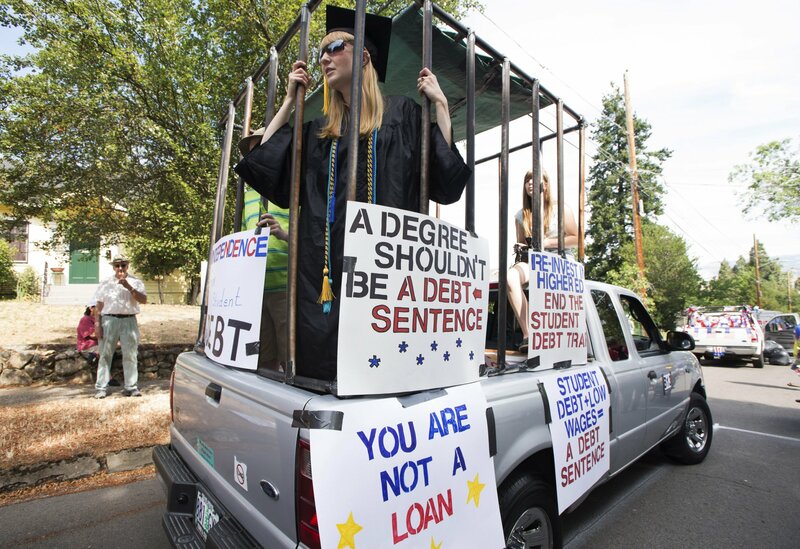 Student loan debt in the United States continues to rise above $1.4 trillion as the costs for college keep rising. But it’s women, and especially black women, who are taking on the biggest load of educational debt and for the longest amount of time. The National Postsecondary Student Aid Study found women make up a majority of enrolled college students across the country, composing 56 percent of all U.S. higher education attendees. But despite making up this slight majority of the student body, women are holding on to nearly two-thirds (65 percent) of outstanding U.S. student debt. Seventy-one percent of women reported student loan debt at their bachelor’s degree graduation, compared to 66 percent of men. Black women have by far the most outstanding student debt after college graduation compared with both white men and white women. The report found African-American women amass an average of $30,400 by college graduation, compared with $22,000 held against white women and $19,500 for Caucasian male students. The AAUW noted that the gender pay gap was one of the many compounded factors behind women taking several years longer to pay back their student loan debt. A 2016 AAUW report found that women who work full-time jobs bring in just 80 percent of the income their male coworkers earn. Black and Hispanic women with bachelor’s degrees make 37 percent and 34 percent less, respectively, than white men with bachelor's degrees. The report suggested securing Pell Grants for low-income students and reducing other financial burdens on poorer students in order for the loans to be paid back more efficiently. “The imbalances compound. Higher student debt, lower pay, child and family care costs, and other factors all add up to leave women at a deficit as they work to maintain financial security. With women leading more households today, enough is enough. Solutions are needed now,” added Churches. Congress is currently considering the reauthorization of the Higher Education Act (HEA), which has not been updated in more than a decade. During that time period, the number of U.S. students with outstanding college debt shot up from 31.5 million to 45 million. Recent reports unveiled a new television game show called Paid Off, which will feature trivia questions aimed at producing a winner to have their student loan paid off by prize money. The TruTV game show is slated to start July 12.